It allows the user to relieve all types of chronic pain without using drugs, leads pads, or gels – just a simple 60 second treatment straight to the point of pain. 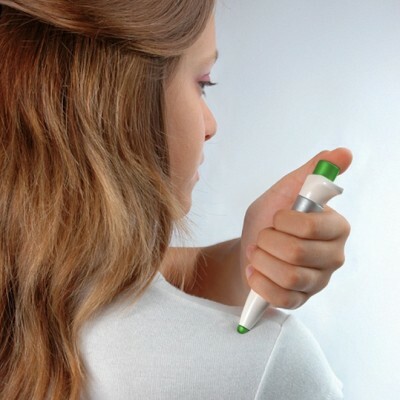 Shaped like a large pen, paingone is practical, fast to work and easy to use. It functions on the principles of Transcutaneous Electrical Nerve Stimulation (also known as TENS or TNS) but, unlike ordinary TENS machines, it has no wires or sticky pads and can be used anywhere, anytime. 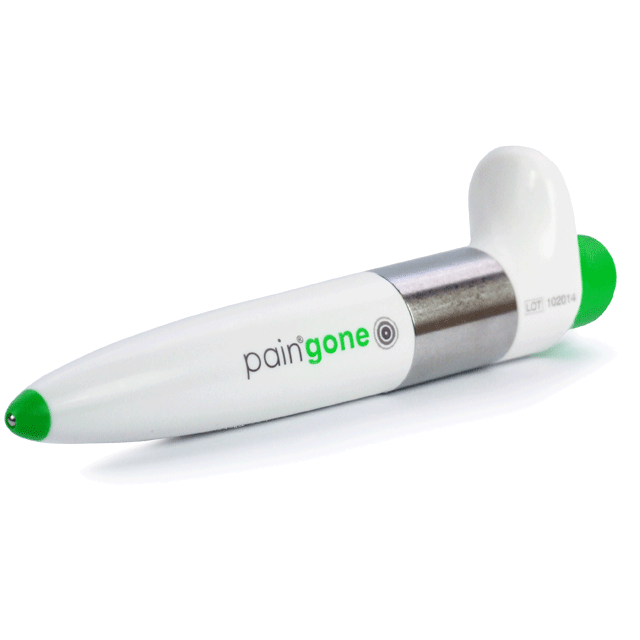 Paingone uses a low-frequency electrical charge produced by a piezo-crystal to provide effective pain relief which is clinically proven to work. Remarkably, it requires no batteries for its operation. Arthrosis, Treatment of the Knee* Dr. Ole Asbjorn, GP, MD. Paingone seems to have an effect which is on the same level as drugs. Paingone can therefore be an alternative pain killing treatment to patients waiting for an operation. Tennis Elbow – Treatment of Acute Tennis Elbow* Dr.Ole Asbjorn, GP, MD. Carried out tests on sufferers of spine syndromes, elbow pain, sciatica, knee arthrosis and phantom-limb pain. The percentage of patients experiencing temporary or continuous pain relief after the use of PainGone ranged from 50%- 86.7%.